Subaru has forged a reputation based on two traits – bullet proof reliability and four wheel drive. In fact out of seven models within the Subaru range, six of them are equipped with the maker’s renowned permanent symmetrical all-wheel drive system. A staggering 900,000 all wheel drive Subaru models hit the road last year alone, ranging from legendary Impreza to the not so soft-roader Forrester. 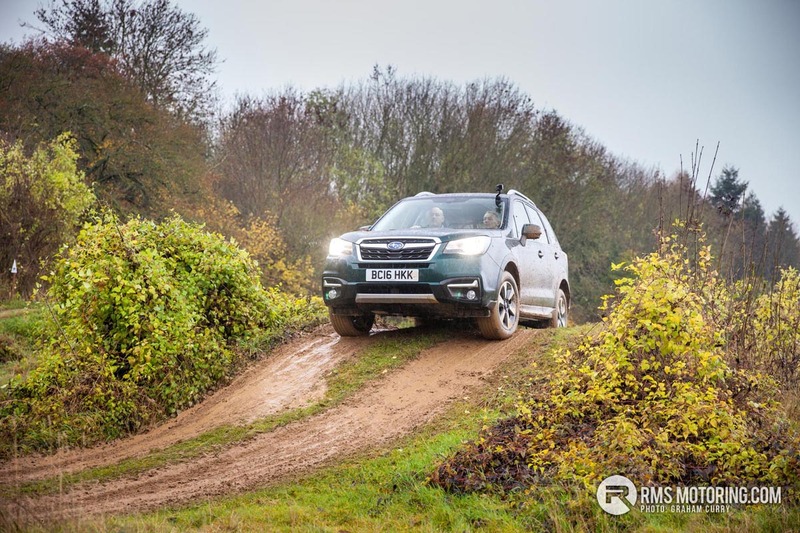 The challenging off road course at Grange Farm in Peterborough was the ideal proving ground to try and stretch the Subaru symmetrical drivetrain. Starting from just over £17k for an Impreza whilst £32k buys a very well kitted out Forester, the Subaru range offers variety and depth. The iconic boxer engine, with it’s distinctive burble is a constant across all models. It’s also racked up a fiftieth birthday this year and works in harmony with the grippy drivetrain thanks to the low centre of gravity. Subaru have been at the forefront, pioneering the boxer diesel. This 2.0 turbo diesel unit can be found in the Forester, Outback and XV models all of which are designed around rural, country estate and off-road adventurist owners. A 2.5 petrol can be found in the Outback with a turbocharged variant coming in the WRX STi. 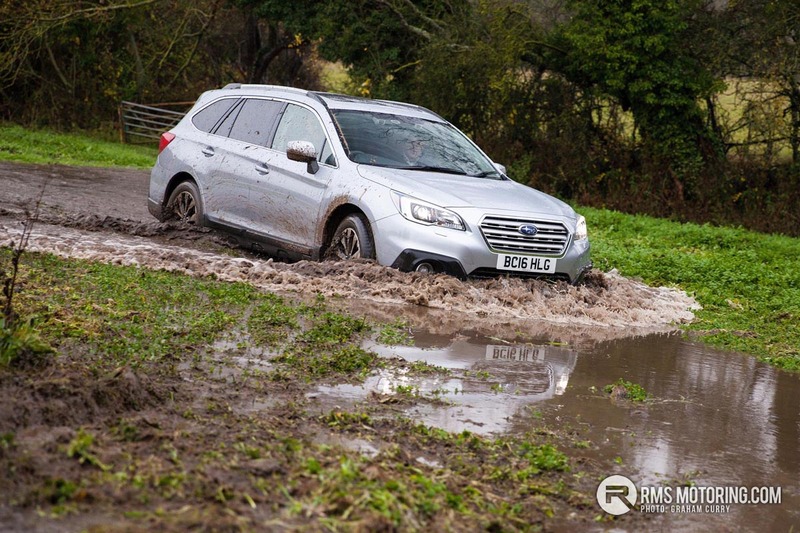 Subaru have an X-mode system for the Outback and Forester which assists drivers on slippery conditions as well as enabling hill decent control which works fantastically well off-road. The greasy, unpredictable conditions on the steep slopes I encountered became a doddle with this mode engaged. The car gives you total confidence that everything is under control judging grip levels faster than I could ever process with my right foot. The XV, in particular, impressed. The XV fits into the small cross-over market and is probably the only model in that bracket capable of overcoming anything more demanding than a reasonably looked after lawn. 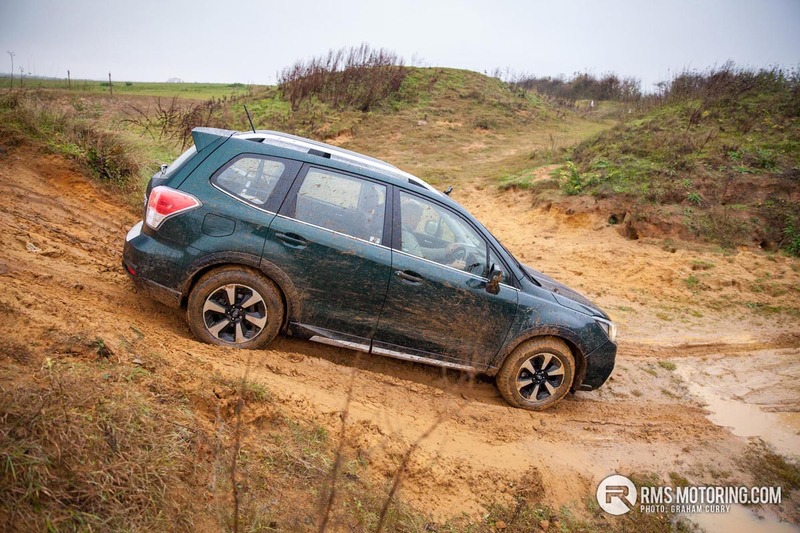 Whilst many cars in that segment have pretensions of off-roading ability, the XV was able to prove it beyond doubt, making it a solid and adaptable all round package. 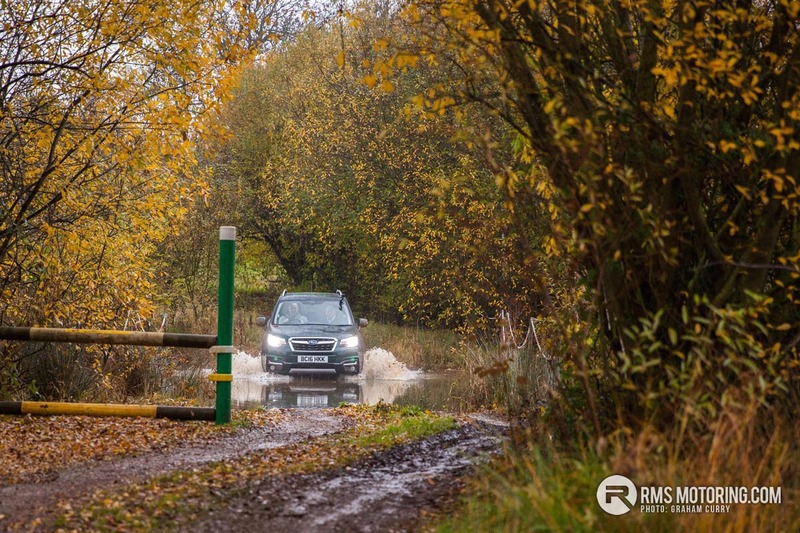 Whilst the XV sparkled, the Forrester and Outback were also put through their paces. More on that over the coming weeks.